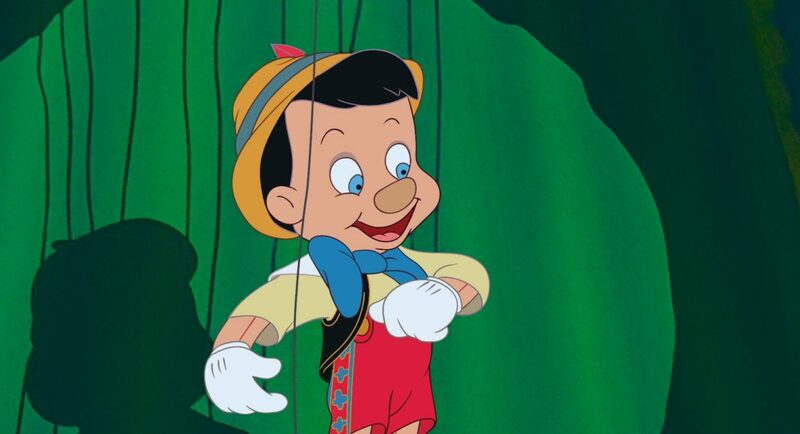 Pinocchio Signature Collection Blu-Ray Review - Are You Screening? 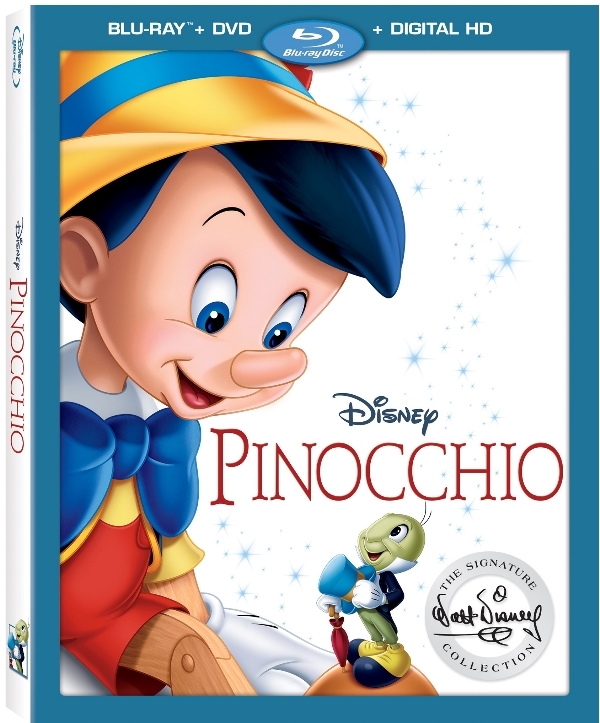 It can be hard to imagine that a film from 1940 can really hold up with audiences today, but with the release of the Pinocchio Signature Collection Blu-Ray, that idea immediately takes on new life. Though it may have its oddities, like characters smoking and an unusual sense of pace by today’s standards, the tale is as engrossing and inspiring for young audiences today as it ever was. The real sell here comes by way of bonuses, as the video and audio will feel somewhat dated and this is not a new remaster, or similar rework of the actual product itself. That said, the film does look wonderful. First off, the release comes with a lot of bonuses that were available on previous releases. They may not be new, but they shouldn’t be written off when looking at this release. 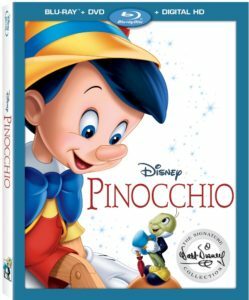 These include hours of great features including a Making Of featurette that any fan of Pinocchio or Disney shouldn’t miss. Going behind the scenes of a production today is a lot of fun, and makes for an entertaining extra, but a look at late-30s Disney making an animated classic is a very different thing. The reissued bonuses also include sing-a-longs, deleted scenes, theatrical trailers, and more. It’s all good stuff, and many of these take off at this point just as wonderful talking points with the new generations of fans. The new features take an interesting approach, offering something for a wide range of tastes and fans. On the one hand, you can hear Walt himself talking about the project via archival interviews, or enjoy the recently restored 1927 short “Poor Papa” with Oswald the Lucky Rabbit. On the other side of things, you get a new spin on “When You Wish Upon a Star” when Disney’s Maker Studios create a new music video for the song, or explore the true depths of Pleasure Island with Pixar‘s Pete Docter. Though it may not seem like a list of features that necessarily merits a new release, these are bonuses beyond the norm. As the market continues to fluctuate, and bonus features ebb and flow seemingly month-to-month, releases will these days push for quantity over quality, hoping to pull in buyers with a gaggle of treats that often don’t amount to much. Here, fans get a lot for their money, especially with the Pleasure Island effort. It isn’t just that you get to see a lot of what was created for the island that never made it to the film, but you’re looking at things through the lens of a historian. 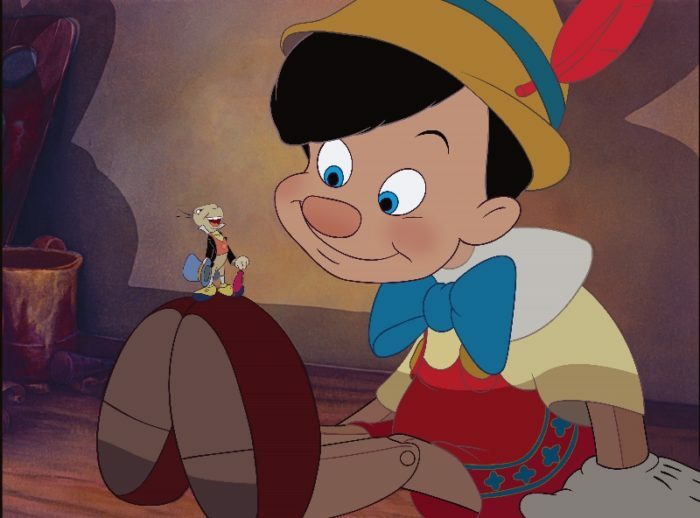 As I mentioned, this is a great effort for fans of Disney in general as much as for those looking specifically toward Pinocchio. Overall, the release is a treat, and while Disney is constantly reissuing older titles – and let’s face it, as much to keep their park investment and merchandising alive as anything – this is one that was due for an excuse to share it with new audiences. The narrative and complexity are worth being shared with younger viewers, perhaps today more than ever, especially considering that there aren’t as many efforts out there willing to take hard looks at serious ideas. Take a look below at some clips from the release, and the full info on the bonuses.